BALDWIN FISHEYE-PA BY KENSINGTON BREWING CO.
Named after Kensington Market’s (in)famous fishmongers on Baldwin Street, FishEYE is a bold and assertive India Pale Ale. We use 4 different varieties of American hops and a heavy dose of caramel malt to create a pleasantly balanced hop-forward IPA. FishEYE-PA pairs well with a burger, spicy Indian food and sharp, strong cheese. Appearance | Hazy copper with an off-white foamy head that laces the glass. Smell | Hops, tropical citrus, hints of pine, tangerine, and orange zest. Taste | Bitterness upfront, tropical citrus, zest, and tangerine. Aftertaste | Lingering refreshing notes of bitterness and citrus-y. Overall | Baldwin FishEYE-PA is…hop candy in a tallboy. As The Brew Head recalled the first time trying FishEYE-PA at Grand River’s Beer Club last year when it was just a sticker on a silver tallboy. It was a fantastic brew, and it still is! Baldwin FishEYE-PA is truly a treat for the hopheads out there. Want to start slowly? Check out Augusta Ale, their flagship ale. FishEYE-PA is a delicious, hoppy brew with lots of citrus notes and lingering bitterness (in a good way!) 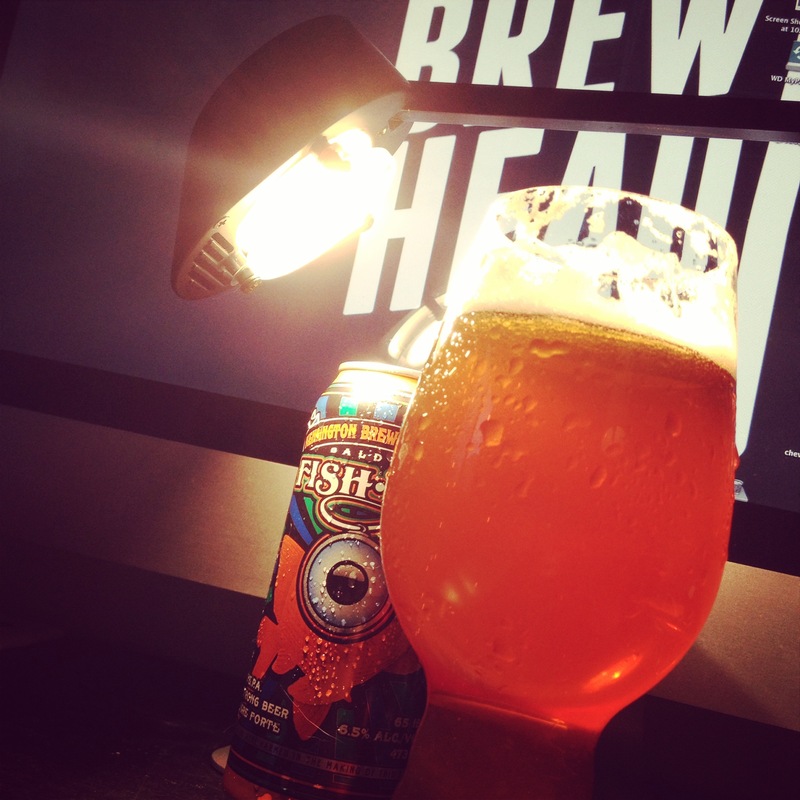 Infact, FishEYE-PA is in The Brew Head’s personal rotation whenever possible. So check out this hoppy IPA out! If you’re looking to try more from Kensington Brewing Co, check out their new seasonal, Watermelon Wheat. It’s available at The Beer Store now! Previous Post REVIEW: Vintage Lager by Hogsback Brewing Co.